While many organizations are guarding the front door with yesterday’s signature based antivirus (AV) solutions, today’s unknown malware walks out the back door with all their data. What’s the answer? 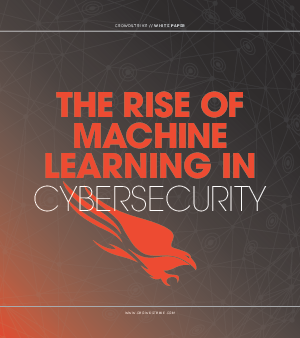 A new white paper, “The Rise of Machine Learning in Cybersecurity,” explains machine learning (ML) technology - what it is, how it works and why it offers better protection against the sophisticated attacks that bypass standard security measures. You’ll also learn about CrowdStrike’s exclusive ML technology and how, as part of the Falcon platform’s next gen AV solution, it dramatically increases your ability to detect attacks that use unknown malware.